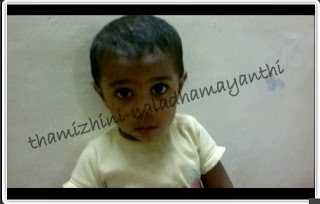 This month is a full of festival and party months for Thamizhini. 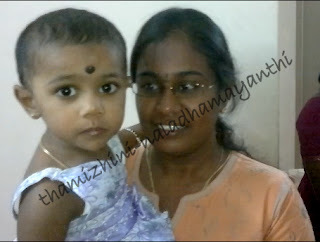 We had Thamizhini's daddy's birthday, Pongal and other friends birthday too! 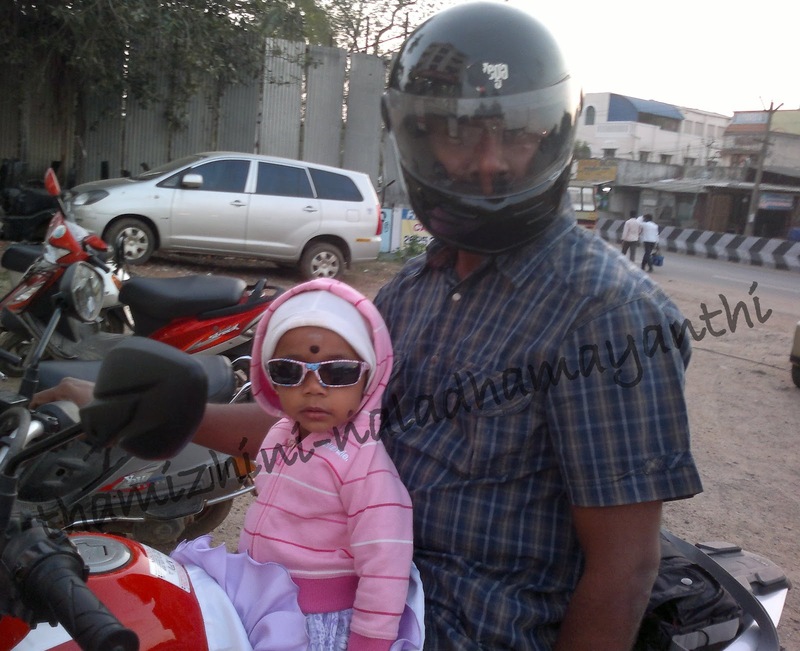 As a development, she started telling "Happy Birthday" as "Appy Bothday" But her daddy was so happy to hear her wishes. Her learning curve is growing very fast, she wants to read one or the other book always. Else she needs her alphabets, blocks or balls to play with. She ask us to carry her and wants to see the charts that were hung for her. She asks about everything and remembers the same. As she is able to talk small small words, these days she is always saying one or the other things. Talks herself or talks to her toys. 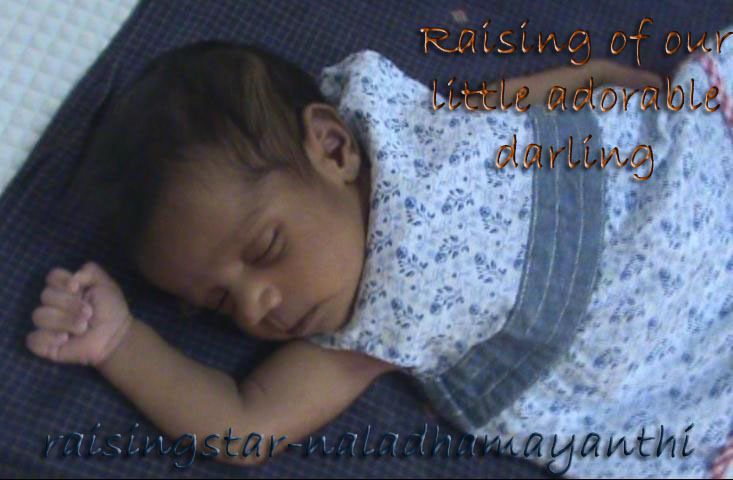 She takes a doll in hand and tells, baby mummu.... baby koongu (thoongu) like that! But she never likes to sleep! These days making her to take her afternoon nap is that much tough! 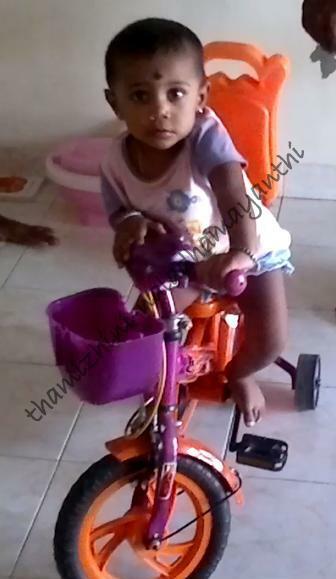 She loves to drive her bicycle. Wondering how? Whenever she goes near to her cycle, her bodyguards surround her left and right! And she knew that at any cost, they will safe her from falling down. So she enjoys it and sometimes she frightens bodyguards too! Earlier my bigger and tough task was giving medicine to her. But now she knows what is it and ask from me. Look at the below picture how she drinks it. Lovely baby! She talks so much when she is at home and when she is accompanied with family members. But if any new face joins the group, that is all! She won't even open her mouth. She won't say a single word at all. May be some phobia. :P The below picture we clicked when Bena's family had come down to our home.